I'm really excited about the Morgantown Farmer's Market starting back up. 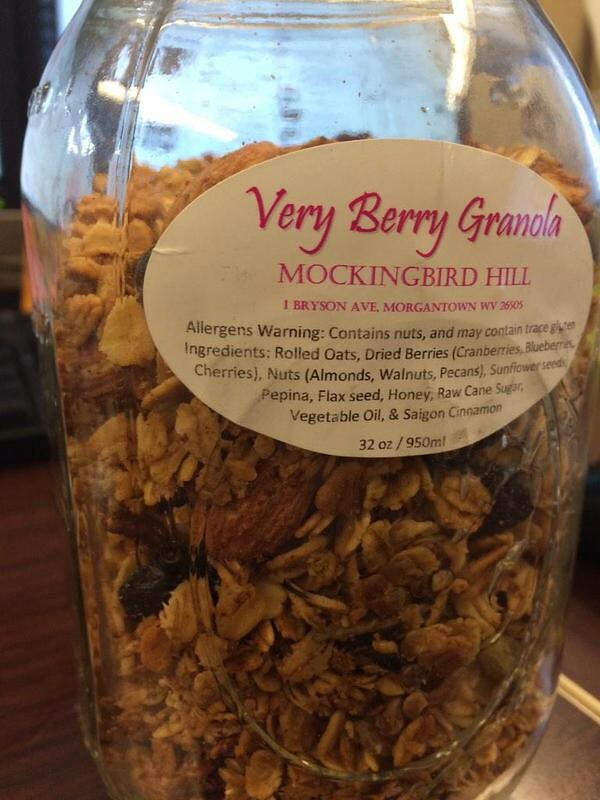 One of my favorites is Mockingbird Hill's very berry granola. Mockingbird Farm is just one of the vendors at the market, and they mainly grow peppers, some zucchini, tomatoes, squash, flowers, etc. My friend Lisa, who used to be the market manager, gave me a little intel. She said the couple grows a variety of things and are always experimenting since they have a small farm and grow using Biodynamic principles. It is a French-based growing principle meaning growing a bunch of stuff in a small space (so you have to add lots of nutrients to the soil). I hope to chat a little about the market vendors individually here soon, but Mockingbird Hill had to be one of my firsts. What have you all bought from them or what is your fave?